Abstract : This systematic review examines the effectiveness of the psycho-educational interventions (PEIs) targeted at people diagnosed with schizophrenia (PDwS) on improving knowledge level of schizophrenia and health related outcomes. PEIs for PDwS and their primary caregivers (PCs) show, to some extent, a positive result; however, the majority of studies have significant methodological limitations. The methods described by Centre for Reviews and Dissemination were used to guide this review. Two reviewers were involved in screening articles for inclusion and in the data extraction process. Data were synthesized using the constant comparative method of analysis. Out of the 2507 records identified, 29 papers were considered for full review. The PEIs showed consistently improvement in the knowledge level of schizophrenia among participants for various follow-up intervals. PEIs for this PDwS should be integrated with standard care in the psychiatric clinics. Abstract : ABSTRACT: Objective: To study and evaluate the drug information services provided in a tertiary care teaching hospital. Materials and Methods: Eight month prospective observational study was done from June 2015 to February 2016. The received drug information queries by ward rounds, direct access and telephone were documented. The documented queries were evaluated by various parameters like status of enquirer, mode of receipt, time frame to reply, purpose of enquiry, types of queries and references used. The quality of drug information centre was evaluated on the basis of feedback questionnaire circulated. Result: A total of 219 queries were received during the study period. Majority of questions are received from general medicine department (73.51%) and the service is more utilized by physician (46.1%). Greater number of queries was received during the ward rounds (65.80%) and answers to queries were most often needed within 2-4 hours (40.63%). Majority of queries were for better patient care (49.3%). Majority of the quires were related drug therapy (21%) and most frequently used reference was internet (42.07%). For the evaluation of quality of drug information service a total of 30 feedback questionnaire were distributed. The feedback questionnaire showed that 76.6% aware about drug information centre and 66.6% rated the performance as very good. Conclusion: The present study shows that drug information services provided by pharmacists were useful to healthcare professionals in providing better patient care and to updating knowledge. 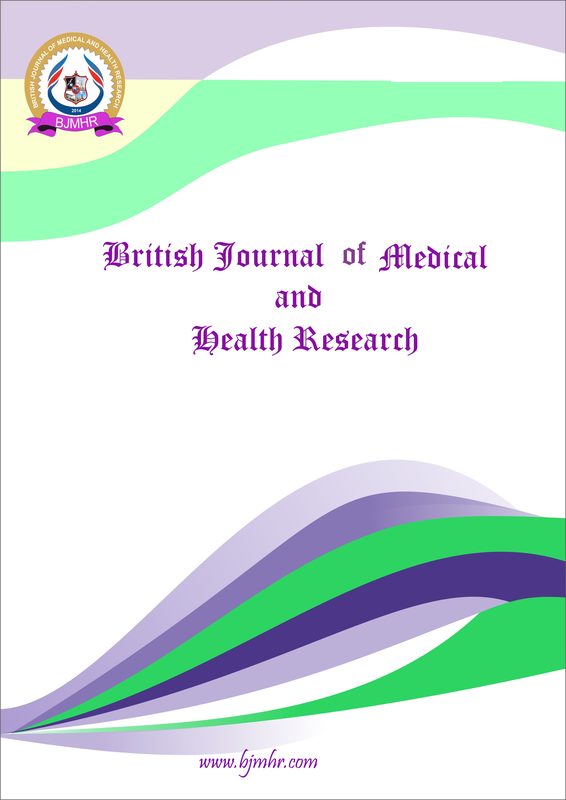 3 Validity of Presumptive Diagnosis of Malaria among Outpatients in a Tertiary Healthcare facility in Rivers State, Nigeria. Abstract : Malaria infection is responsible for high mortality rates in sub – Saharan Africa and this is partly caused by poor infrastructure especially for diagnosis in rural areas thereby making complying with the World Health Organization policy on proper malaria tests before treatment difficult. A cross – sectional study was conducted to evaluate the validity of presumptive diagnosis in malaria infections by comparing with microscopy and CareStart™ malaria HRP2/pLDH Pf Test kit (RDT). 1000 consenting study subjects in the Outpatient Department of Braithwaite Memorial Specialist Hospital (BMSH), Rivers State, Nigeria were sampled for malaria parasites from January 2014 to June 2016. Blood samples were gotten through venous procedure and analyzed for the presence of Plasmodium using Giemsa – microscopy and RDT kits while presumptive diagnosis (presence of fever) was determined by a Physician. All results were statistically analyzed and Giemsa – microscopy was used as the “Gold standard” for malaria diagnosis. Malaria prevalence rates of 32%, 32% and 15% were recorded for presumptive diagnosis, microscopy and RDT respectively (P<0.05). Fever had sensitivity, specificity and diagnostic accuracy values of 99%, 100% and 99.7% respectively while RDT had sensitivity, specificity and diagnostic accuracy values of 46%, 100% and 83% respectively when compared to Giemsa – microscopy. This study showed that RDT was not as sensitive as fever and microscopy in the detection of malaria but it can be used when microscopy is not available due to its high specificity and diagnostic accuracy. Although more research is needed in the validity of presumptive diagnosis as a reliable diagnostic technique, suspected cases of malaria infection based on presumptive diagnosis (presence of fever) by highly experienced physicians can be considered for malaria treatment especially in emergency situations and in malaria – endemic rural areas lacking well – equipped malaria diagnostic centres for laboratory diagnosis but all suspected malaria cases should be confirmed with proper laboratory diagnosis (if possible) to avoid malaria mis – diagnosis and parasite drug resistance by wrong administration of antimalarial. Abstract : Cervical pregnancies (CPs) are dangerous due to associated life-threatening haemorrhage requiring massive blood transfusions and a possible need for hysterectomy. The main aim in the management is to prevent hysterectomy especially in young women who desire fertility. If diagnosed early, conservative management of an asymptomatic CP using systemic or local medical treatment seems superior to the surgical intervention. Surgical intervention as a primary mode of treatment may cause severe haemorrhage. The optimum therapeutic option for symptomatic CP is still unclear. We report a case of cervical pregnancy initially misdiagnosed as threatened miscarriage- in a woman with previous multiple cesarean sections. Abstract : Bilateral facial nerve palsy (FNP) is a rare condition, representing less than 2% of cases of FNP. The causes of this condition can vary and can be a diagnostic challenge. We report a case of bilateral Lower Motor Neuron facial palsy in an 18-year-old female without any co-morbidities and discuss the possible etiologies. Keyword : Bilateral facial nerve palsy, Lagophthalmos, idiopathic, Bell’s palsy, lower motor neuron. Abstract : Neck pain is one of the most common persisting symptoms. It increases with age in men and women and this appears to differ from low back pain. While in men its peaks between 40 years and 50 years of age and it is more common in women than men. The McKenzie method was introduced in Sweden in 1985 and came to be frequently used in the 1990. as a treatment modality for patients with mechanical problems of the spine. Patient with neck pain may have reduced neck strength in flexion, extension and rotation. A convenience sample of 45 subject with neck pain randomly assigned into three groups like group A,B and C. The Group A subject will receive McKenzie treatment, Hot Pack and Postural Correction. The Group B subject will receive Strengthening Exercise, Hot Pack and Postural Correction. The Group C subjects Hot Pack and Postural Correction. All three groups were treated for four week. Instrumentation The age, weight and height of subjects in groups A, B and C were compared by using analysis of variance. There was no significant difference found in age, weight and height in all 3 groups (P>0.05) In the present study, there was significant difference between the McKenzie treatment, Isometric strengthening exercise and Hot Pack treatment for neck pain. The McKenzie protocol has been found to be more beneficial that the Isometric Strengthening exercise. Keyword : McKenzie treatment, Hot Pack and Postural Correction, Strengthening Exercise. Abstract : The use of cone-beam computed tomography (CBCT) can be decisive for diagnosis and treatment in certain cases. The presented clinical case illustrates the importance of CBCT imaging in identifying accessory canals of the lower incisors. A male patient showed on periapical radiography an extensive lesion involving the four lower incisor apices, on which partial endodontic treatment was performed. CBCT was performed and showed the presence of untreated accessory canals in the four teeth. After six months of endodontic retreatment and obturation of the accessory canals, new periapical radiography was performed. CBCT showed the presence of accessory canals in the four lower incisors, which was very important in the planning and subsequent endodontic retreatment. Keyword : cone-beam computed tomography, diagnosis, endodontics. Abstract : Sacrococcygeal teratoma (SCT) is a congenital neoplasm that develop embryologically from totipotent cells and enlarge as a mass in sacrococcygeal region. SCT is usually benign but in a significant number of patients it presents with metastatic disease. A 1-year-old female child presented to our hospital with a history of a sacrococcygeal swelling since birth. Investigations revealed the lump to be a sacrococcygeal teratoma. The size of swelling increased gradually over time to a size of 12 cm × 9 cm at presentation. On further work up the patient was found to have metastasis in cerebrospinal fluid (CSF). We present a very rare case of CNS metastasis in a girl with sacrococcygeal teratoma reported on cytology. Keyword : Cerebrospinal fluid, CNS metastasis, Cytology, Sacrococcygeal teratoma. Abstract : A simple, rapid, precise, accurate and sensitive reverse phase high performance liquid chromatography(RP-HPLC) method for simultaneous estimation of Pantoprazole and Domperidone in pharmaceutical dosage forms have been developed and validated. Drug was resolved on a C18 column (Phenomenex phenyl hexyl column, 250mm*4.6mmi.d,5um). Utilizing mobile phase of water with 0.4%v/v triethyl amine and acetonitrile with diluted orthophosphoric acid pH adjusted to 5.2 in a ratio of 50:50 of water and acetonitrile respectively. Mobile phase was delivered at the flow rate of 1.0ml/min. Ultraviolet detection was carried out at 236nm. Separation was completed within 7.75 minutes. Calibration curve was linear with correlation coefficient (r2) =0.999. Using etoricoxib 10ug/ml as IS. Recovery was between 99.26, 100.2 percentage. The standard deviation was found to be less than 1% for the assay of tablet.. The proposed methods were successfully employed for the estimation of Pantoprazole and Domperidone in combined tablet formulation. Keyword : Pantoprazole (PAN), Domperidone (DOM) and Etoricoxib, RP-HPLC, CI8 (4.6*250) mm, 5 micron column, Validation. Abstract : Effects of four different drying methods which are usually employed for the drying of tea leaves for getting different grades of tea leaves were studied in case of Psidium gujava, Natural drying method, Steam processing method, Temperature variation method, High temperature method. The first process was the conventional shade drying method, in all the process vacuum drying was involved in the final stages. Steam processing method was found to be more superior as compared to other methods. Keyword : Guava leaves, Drying methods, Antioxidant, Caffeine content.